"No Knead 5 minute Artisan Bread w/ Sourdough Starter"
Look above... if you have ever dealt with bread dough, you know that looks very wet. 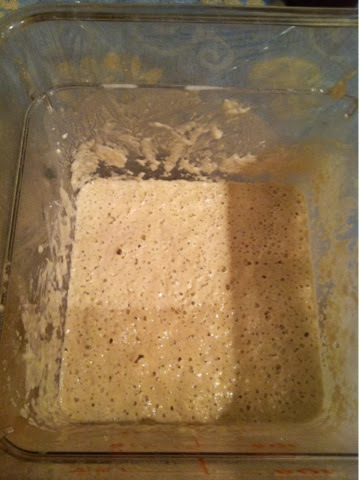 This was after rising for 24ish hours. 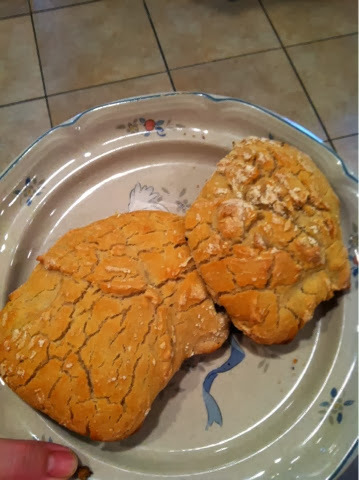 In hindsight, I would have probably done well to leave it out til I went to bed and stuck the dough in the fridge, it might have firmed up much nicer. Eh, live and learn, right? Ok, so I've got a blob out. 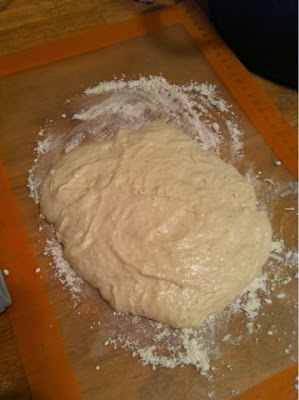 I had to add a good deal (around 2 cups) of flour... JUST to get it to a point that I could manage the dough without falling through my fingers. The final product. Yes, it has a secondary growth to it. 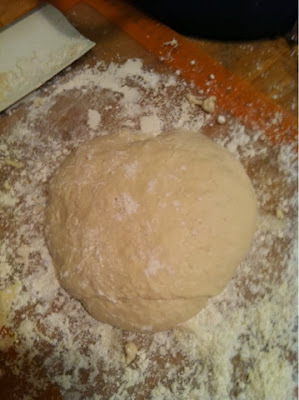 When I went to 'plop' the dough in, a bit stuck to my mat. So, when I scrapped it in, it formed its own blob. Oh well. It was very crusty on the outside. It was soft on the inside. 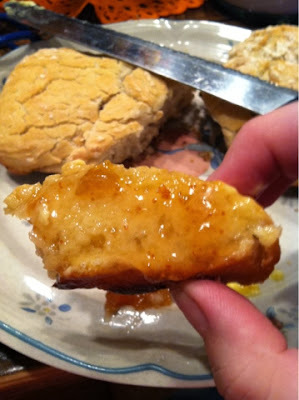 But, overall, it was edible and tasted very good with some butter and jam. We will try again soon!